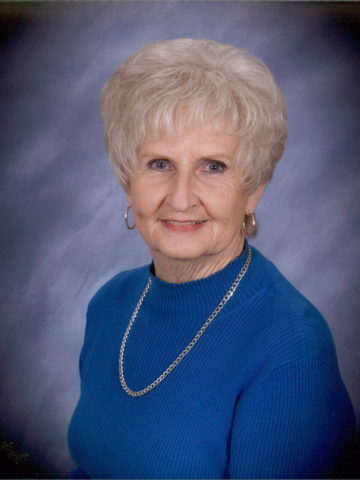 Thursday February 14, 2019 12:00pm to 2:30 p.m.
Thursday February 14, 2019 2:30 p.m.
Louise is going to be missed by so many..has been my friend for many years..after we sang Happy Birthday to her last Friday after Line dance at the YMCA, I told her that “she inspired me”..so true..God is the winner here..he is getting a “jewel”.. So sorry to hear about Louise. She was a lovely lady and will be missed. Sending prayers to the family. So sorry to hear about Louise. She was one of my special mom’s. Mine has been in heaven for 37 years and my dad was reunited a short while back. My prayers are with you all during this hard time. Your dad has received one special Valentine present (again). Heaven is sweeter by the minute. Love; Peace and Understanding to you all. It was a blessing to have known Louise and to have been her friend. She was a proud member of the Rhythm Band at the Turner Center at the Y. She will be so very missed by all her fellow band members. We hope she finds the maraca section in heaven. Stay cool and keep the beat, Louise! Sincerest condolences to all the family. I am so sorry to hear about Louise passing. She was a lovely person from her youth, and all her life. I am thankful that she passed peacefully without any pain and suffering. My thoughts and prayers are with all her family. Louise was such a wonderful, kind and fun woman. It was a blessing to know her and be around her. Love and prayers to her family. Pam, David and I were sorry to hear about your Mom. Our prayers are with you and your family. May the Lord lift you up each and every day.until you meet again. I extend to you my deepest sympathy in the loss of your dear Mom. May God Bless you and be with you during this difficult time. You are one of my son’s (Todd) closest friends. I remember you from helping him build his house in Bellevue. God be with you. Louise, you had such a sweet, beautiful service. You would have been proud of it. I will always remember you with much happiness in my heart. Todd, We are so sorry to hear about your Mom. Our prayers and thoughts are with and your family. I lived next door to the Goodman’s for years. I also enjoyed my talks in the yard when we were both doing yard work. She was such a loving and caring person. God bless you all and give you comfort through this difficult time. I know she will be missed.